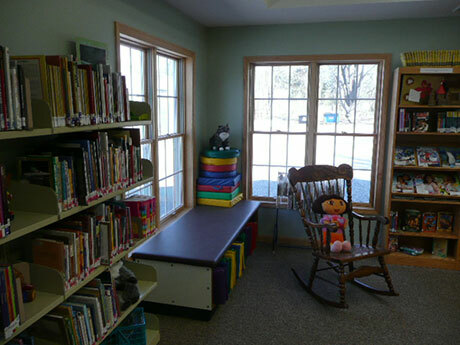 A 600 s.f. 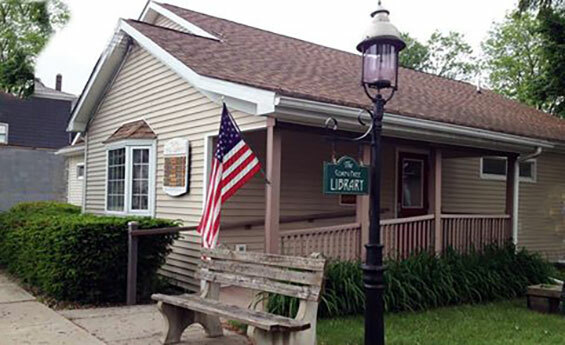 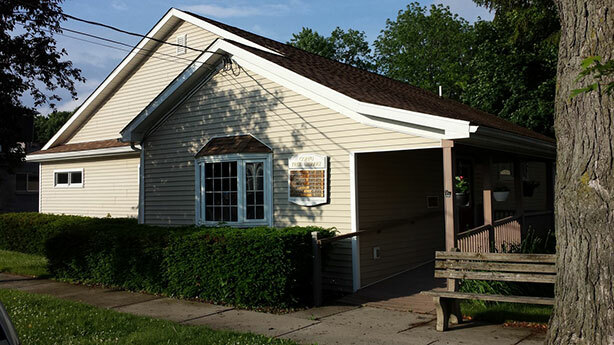 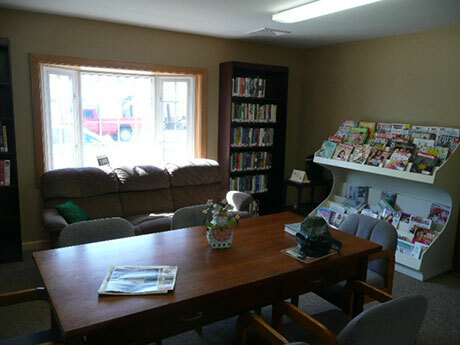 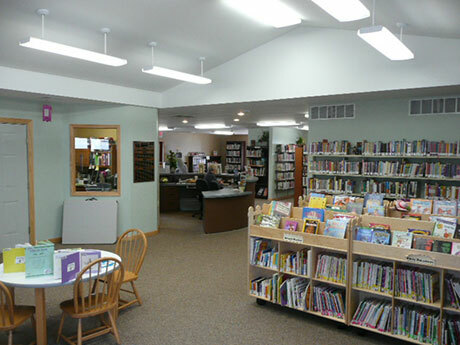 addition and complete interior and exterior renovation of an existing rural village library. 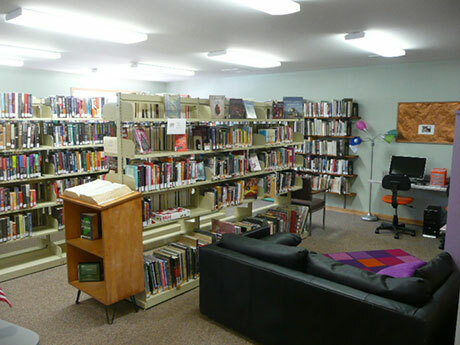 The 1,600 s.f. 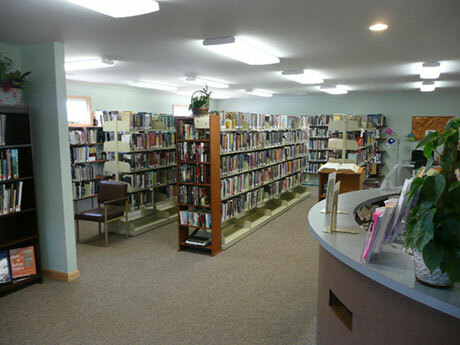 existing facility was a combination of a single-room original building and two small additions over the last 40 years. 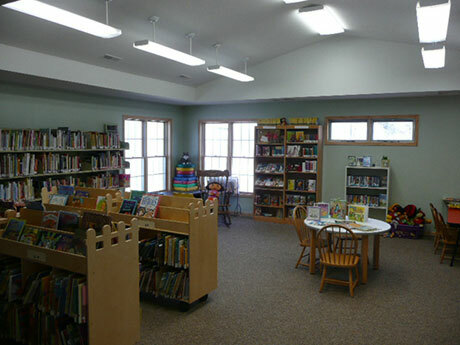 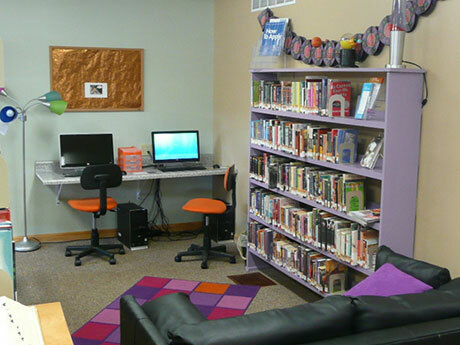 The work included a new Children’s Library addition and a complete interior transformation of the existing space. 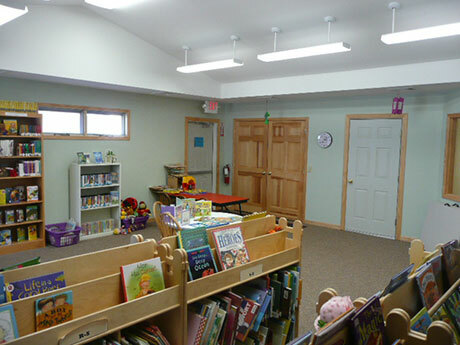 A new clear span roof was added over the entire building providing the opportunity to remove existing interior walls to open up the space. 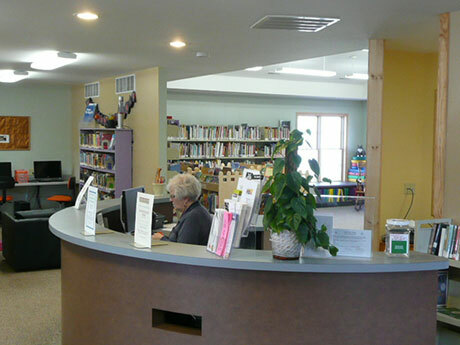 A custom, circular circulation desk occupies the center of the library allowing staff to oversee all public areas and providing a convenient location for patrons seeking information or checking out a book.